The executive committee set up an Ad Hoc Constitutional Review Committee. The members of the committee were Maureen McKeen, Tina Lubimiv, Heather Penwell, Cheryl Devitt, Yvonne McMahon, and Fiona White. The committee was given the task of reviewing the constitution, reviewing suggestions received from the membership and suggesting amendments. 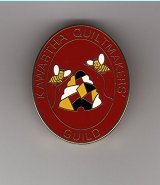 The committee considered suggestions for changes that had been discussed by the Executive Committee, looked at constitutions from other quilt guilds, discussed the intent and history of some elements of the constitution and considered how to make it simpler, clearer, more consistent, and to reflect current practices of the guild. That the section on Specific Duties of the Executive Committee be removed from the constitution and become a document that is the responsibility of the Executive Committee. Rationale: Detailed duties are not generally included in a constitution. Currently minor changes cannot be made without constitutional amendments at the annual general meeting. This motion enables the executive committee to update the responsibilities as needed. That the amendments to the constitution and by-laws as indicated in the revised constitution document be accepted as a block. Rationale: Suggested changes make the constitution clearer and more consistent. As a result of previous discussions regarding Executive Members holding more than one position on the Executive, the role of Ad Hoc Committees has been added ​which can include but not limited to the Quilt Show Committee. The vice-president will now have the option of continuing on to the president position, rather than being obligated to take the position.